Some say that men are just like the wine: they get better as they get old. But how much “old” a man has to be to assure you he is a good man? Well, Jennifer Lopez has given her opinion about it: Men are useless until they are 33. Before that, they are just kids. Tinder is an app where you can find dates and potential partners. They have a series of videos about dating advice and thoughts about love so the famous singer and actress Jennifer Lopez, also known as JLo, was invited to the segment where she shared her opinion about the mentioned topics. Also, in the video, she helped a 29-year-old girl called Brooke to find a good match on Tinder and of course, Brooke received the best advice from the singer, who has a lot of experience in the dating area. Many can think that JLo’s statement was a little bit rude but, would you believe it if a professional shows you that what she said makes a lot of sense? A relationship expert called Dr. Jane Greer said that Jennifer’s advice had a bit of truth on it. How is that possible? A lot of the people who use dating apps are looking for someone to settle down and make a life together. This means that a lot of people, at least the women, are looking for men who have a stable life, a good work and solid finances and of course: a good mental health and healthy emotions. The expert told that it can take longer for men to establish their lives. Actually, is when they are into their early 30s that they tend to establish their professional career and find a sense of financial stability. That is what it helps them feel more secure in life. Is in this point in their life that they start experimenting with the feeling of maturity that comes with accomplishment, experience, and success. Of course, we shouldn’t underestimate guys in their 20’s or say they are useless because they deserve respect and the topics mentioned before are very personal at the end, but if we talk about men in a general way, a late maturity is what it is more common. An example of this is like most of the men in their 20’s like to hang out with a lot of women and they don’t tend to settle down with one but when they arrive at their 30’s, they use to find “the right one” and get married. Maybe JLo says that because she definitely knows what she is talking about. She always has dated with mature men but the latina queen also has some fails in her romantic history. For example, let’s remember that she dated a very young man some years ago. His name is Casper Smart and the age gap between them was almost 20 years. 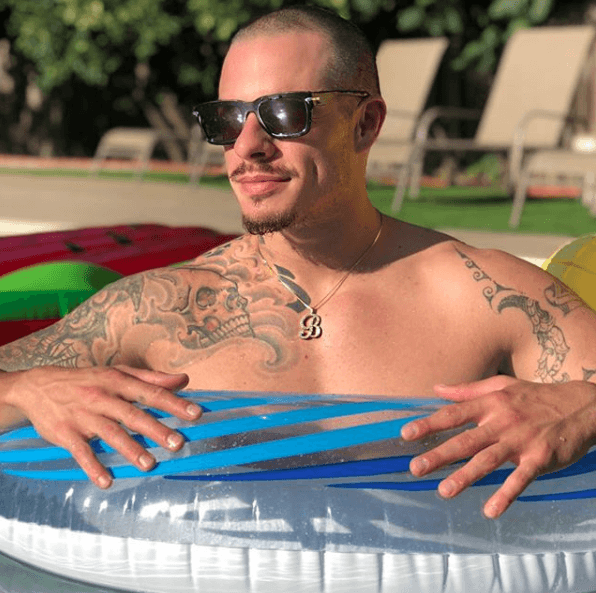 After finishing the relationship with Marc Anthony, she started dating her former dancer Casper Smart. 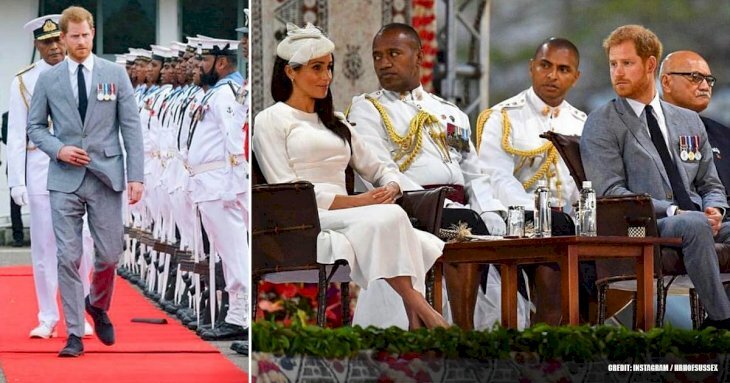 The difference in age and several problems of the couple brought the end to this relationship in 2014. 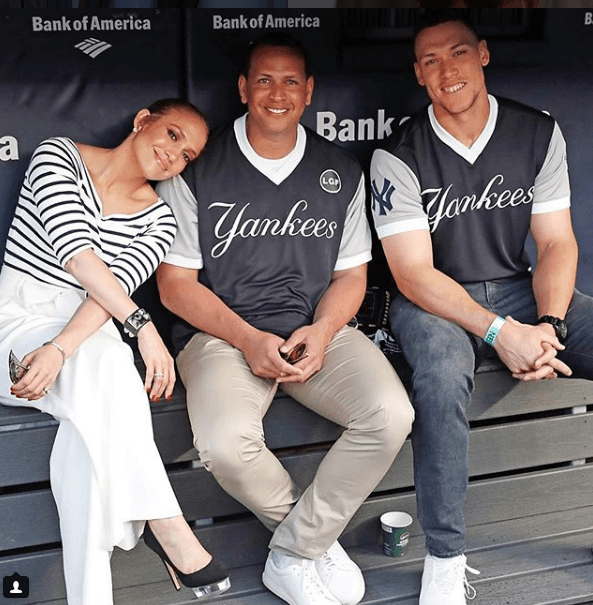 Some years after they broke up she started dating with her actual partner the baseball player Alex Rodriguez, also known as A-Rod and it looks like this really is the kind of man that Jennifer Lopez like because she can’t stop talking about how happy she is by his side. 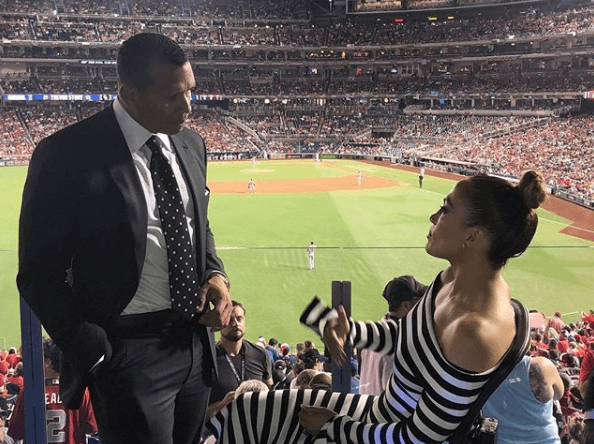 Lately the media has been talking about a possible marriage between the singer and the former baseball player and it seems that A-Rod and JLo like all this mysterious game about if they are going to get married or not. This would be the third marriage for Jennifer Lopez if she decides to tie the knot. Also, let’s not forget that all this rumors became stronger after Jennifer Lopez drop her latest song “The Ring”, where she talks about a perfect relationship but asks “when are we going to get married?”. Just a few days ago, what was a simple photo on the beach became viral. Jennifer Lopez rested in a towel with her partner, Alex Rodriguez. And although it was a summer picture like any other, the truth is that something attracted a lot of attention. The singer wore a spectacular ring adorned with a diamond that did nothing but stoke the rumors of a possible commitment. The fans went crazy at the idea of seeing the Bronx diva dressed as a bride again. However, her partner has revealed now that it is only a gift and it does not symbolize a future link between them. ‘I gave her that ring. I gave it to her about four or five months ago and, of course, it has a meaning, but no, we are not engaged. We're not engaged,’ the former baseball player said in an interview with Hoda Kobt and Kathie Lee Gifford of the Today show. Jennifer and A-Rod love showing how much they love each other. This couple is one of the favorites of the media because they like to keep their relationship public, they love to share their best pictures and they don’t hesitate about making public statements of their love through their social media accounts. An example of that are the recents post that both have made due to each others birthdays. Don’t forget that their birthdays are separated just for a few days. The famous couple spent the birthday of the ex-baseball player with his family. 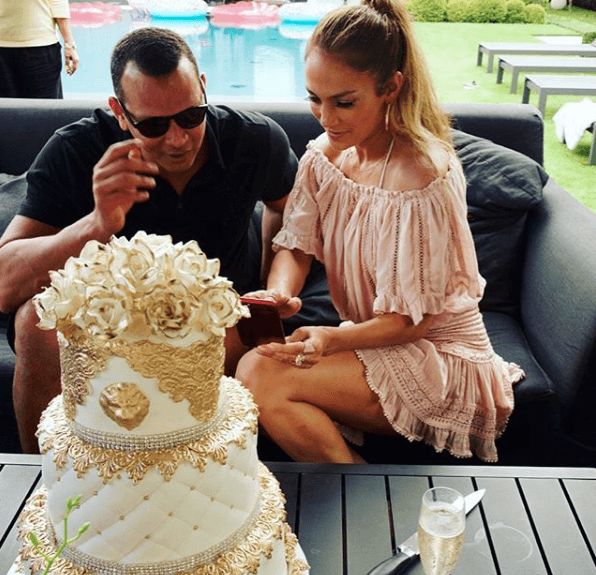 The singer Jennifer Lopez celebrated Alex Rodriguez's birthday in the last weekend. The couple celebrated the 42 years of the former sports player and the photos of the celebration can be seen through Instagram. 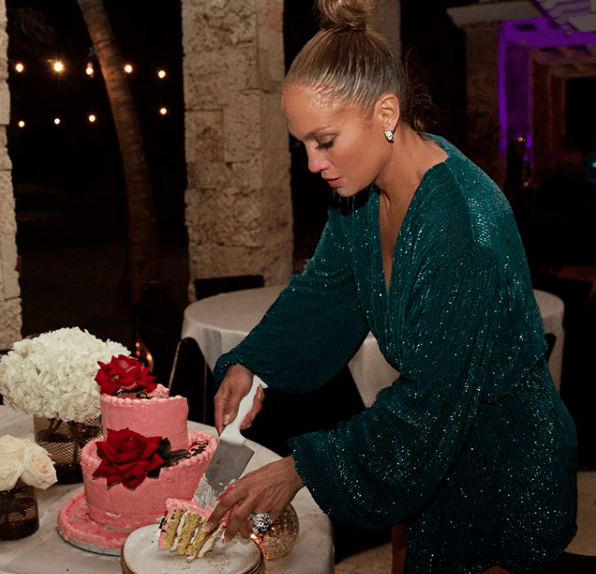 It should be remembered that last Tuesday, Jennifer Lopez turned 49 and also celebrated her birthday with her family. She herself shared everything that happened in her Instagram stories. Despite no one knows when will this couple get married, everyone would love to see them promising eternal love to each other in the altar. We wish them the best!